William Bennett, OBE, Hon RAM, professor, is a British flute player. albums: "Music for Flute", "A Victorian Musical Evening", "Clarinet Concerto / Flute and Harp Concerto", "Complete Wind Sonatas", "6 Sinfonie di Concerto Grosso"
William Bennett is a musical artist, musician. William Bennett was an American musician. He was the principal oboist for the San Francisco Symphony Orchestra. album: "In Memory of William Bennett: May 6 2013"
There are other people with in their name, like William Bennett Fleming and William Bennett Kilpack. 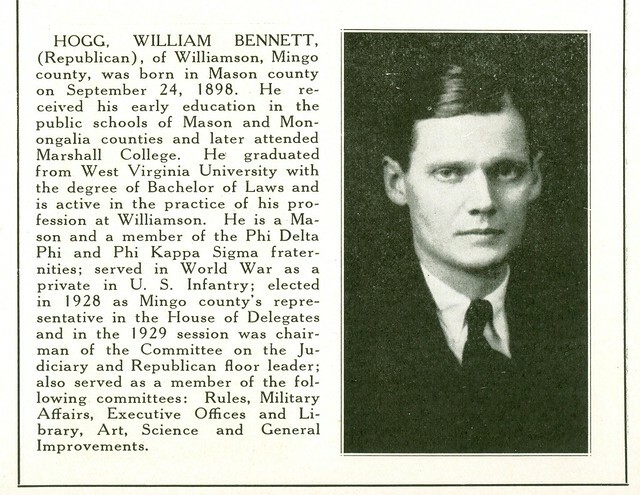 Image from the 1929 West Virginia Blue Book (published by the state as a public document; no copyright notice). Go to the usage examples of William Bennett to see it in context!